It wants the Civil Aviation Authority (CAA) - which has an enforcement division - to investigate. They were joined on some of the flights by Willie McKay himself and his son Mark McKay - agent to Nantes FC, where Emiliano Sala was playing at the time. Emiliano Sala and his agent Meissa N'Diaye were also on several flights from mid-January onwards, when discussions about the Argentinian striker's £15m transfer to Cardiff intensified. An AOC is a licence which charter companies obtain from the CAA - for a cost - and which provides a structure for the way they are run, including safety, flight operations, ground operations and maintenance, compliance and training. The plane they flew on - a Pilatus PC-12 single engine aircraft with the registration G-KARE - is operated by a company called Flexifly Aircraft Hire Limited, based in Surrey and linked to a care home provider. 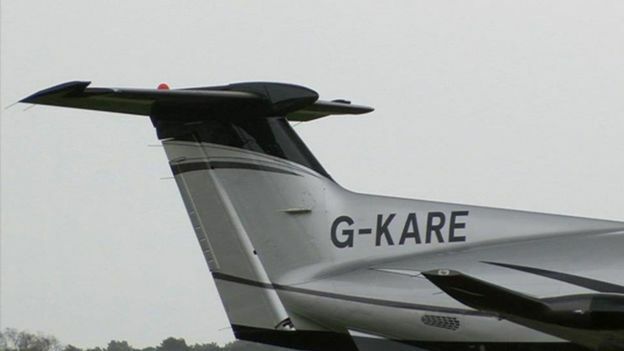 The G denotes a UK-registered plane, which can be hired from the company under a "dry lease" arrangement - whereby aircraft and pilot are hired separately. Flexifly's website stipulates that any pilot flying the plane must hold a commercial pilot's licence with an instrument rating, have a minimum number of flying hours on the aircraft type behind them and "be approved by the owner before they are permitted to pilot the aircraft concerned". The next seven flights between 8-18 January - when Sala underwent a medical and signed for Cardiff City - were conducted by Channel Jets. A legitimate air charter company based in Guernsey, Channel Jets does hold an AOC - but only planes registered in Guernsey can be included on this. 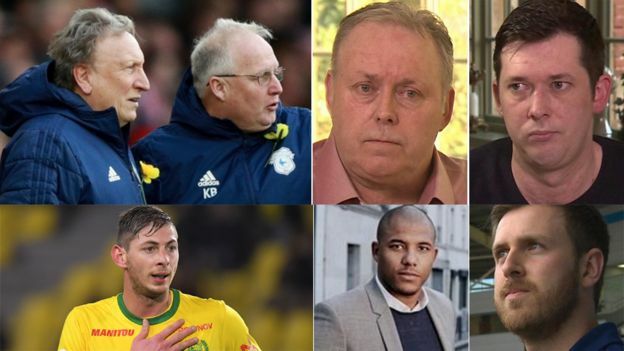 BBC Wales understands that the two jets used to fly various parties including Sala, his agent Meissa N'Diaye, Cardiff City manager Neil Warnock and club player liaison Callum Davies, Willie McKay and his son Mark on seven separate occasions in January did not fall under the AOC at the time. Channel Jets have declined to comment beyond saying they had "provided full details to the CAA". After Sala had signed up to play for Cardiff City, his agent Mr N'Diaye was flown back to Nantes on 18 January by Lord George Porchester, who flies his own Piper Malibu plane under the company name Altaclara. The son of the Earl of Caernarfon, whose family seat is used as a filming location for TV's Downton Abbey, he holds a private pilot's licence. Lord Porchester has told BBC Wales he flew Mr N'Diaye as a "favour" for Willie McKay and did not receive any payment for the flight. "I've got my own aircraft and I flew that flight," he said. "There was no financial arrangement at all with anyone, it was a private flight." He added: "I've been pulled into this because I've done someone a favour." While the AAIB is investigating the crash which killed Sala and his pilot, it's the CAA which investigates breaches of aviation regulations and licensing, and takes enforcement action where appropriate. Dave Edwards, chief executive of Baca, said: "We did our research into these flights, we've identified which aircraft they were and the routes they flew, and that gave us rise for significant concern. "There's enough for us to feel that the authorities need to be looking very closely at this to make sure everyone is keeping the interests of the travelling public at the forefront of their minds." Mr Edwards said Baca had been voicing concerns about "grey" and illegal charters to the CAA and the European Union Aviation Safety Agency (Easa) for several years. They've passed their research on the flights connected to the Sala deal onto the CAA. The demand for such non-commercial flights is driven by cost, he believes, with companies continuing to offer flights while dodging the high cost of air operator certificates and their knock-on effect on customers. "What we're seeing is a push towards making it more affordable, more attractive to people," he said. Baca says that the tragedy could prove a watershed moment for the aviation industry, as its longstanding concerns about safety and regulation of the non-commercial sector are pushed to the forefront of the agenda. "Our industry has always had this line that it would take one famous person to be killed in an aircraft accident for it to come to the fore," said Mr Edwards. "It's a tragedy, a horrible way for it to have happened, but sadly it's brought it more into the public than just within the aviation industry." He added that Baca would like to see more prosecutions by the CAA of those who contravene licensing regulations, and stiffer sentences when offenders are prosecuted. Willie McKay, who commissioned and paid for the flights around the Sala deal, and "aviation broker" David Henderson, who McKay says arranged the final flight which crashed, were both approached for comment on this story. Yes - and a recent one. 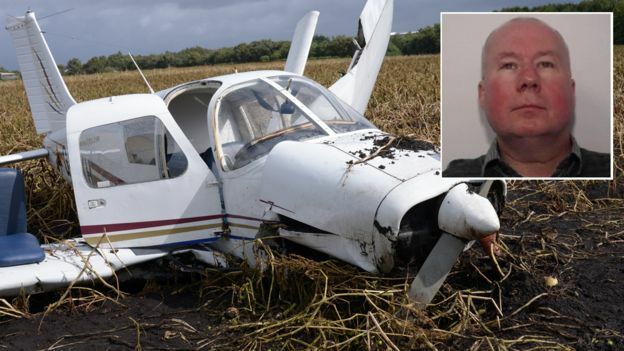 A jury found him guilty of recklessly endangering the safety of an aircraft and flying without an air operator's certificate, appropriate licence, insurance or flight manual. Although Murgatroyd, 52, held a private pilot's licence, prosecutors told the jury that he was not allowed to run commercial flights, which in turn rendered his insurance null and void. Murgatroyd, who had several previous convictions for illegally operating public transport flights, had neglected to factor his own weight into the flight plan, causing the aircraft to be "grossly" overloaded. In addition to a prison sentence, Murgatroyd's pilot's licence was revoked by the CAA. Murgatroyd had denied the offences, claiming to be a "hero" for saving the lives of those on board. Senior investigator, Sergeant Lee Westhead, said after the case: "Make no mistake, this could easily have been a truly terrible disaster, all caused because one man saw an opportunity to make a quick buck. "His passenger weren't to know their pilot was flouting the law and had failed to take the appropriate safety measures."